PUR perfect binder: The BQ-280 also uses environmentally-friendly PUR glue which meets the requirements of lay-flat binding for both offset and digital prints as well as coated stock. For more information about PUR binding, click here. Easy-to-use touchscreen controls: The large color touchscreen features intuitive icons for easy operation. 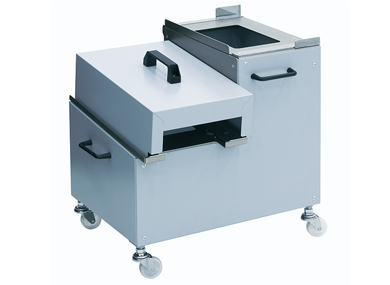 Simply input book block and cover information at the touchscreen for quick and automatic setup, including carriage clamp, milling, glue tank, nipping, and cover feeder. Precision caliper system: The automated, sensor-activated digital caliper system ensures consistent measurement of book block thickness every time, eliminating operator discrepancy. The caliper slides into position with no manual intervention and thickness data automatically begins set-up. Store jobs for quick setup: Up to 200 jobs can be held in memory and locked for additional security. Designed for print-on-demand: Easily handles the production of digitally printed books, personalized photo books, smaller sample runs, and other ultra short-run work! This unit is highly recommended with PUR use. The extractor continues to work for thirty minutes by timer even after turning off the power. 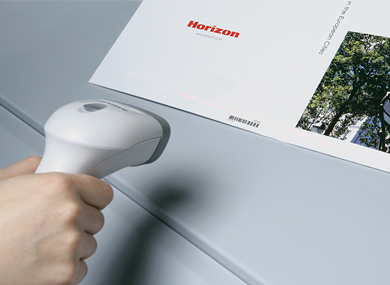 The barcode verification system is able to read printed barcodes on the cover sheet and book block to match the cover sheet and the book block. 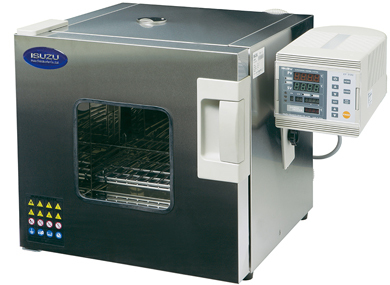 The M-470 is a laboratory oven used to premelt PUR glue. 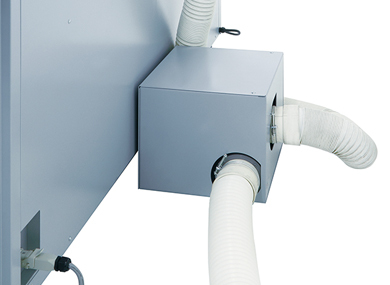 The S-280 stand makes melt tank replacement easier, designed to receive and hold the spine glue tank unit after removal.